No new sermons here for the last two weeks, I know – yesterday week was an all age service, and yesterday I had a Harvest Festival where I repurposed an old sermon. Yesterday at Knaphill, one of our Local Preachers, Rob Gill, preached on the second instalment of the Life On The Frontline course. Hopefully the audio should be up here before too long. And next Sunday, I won’t be preaching at all. 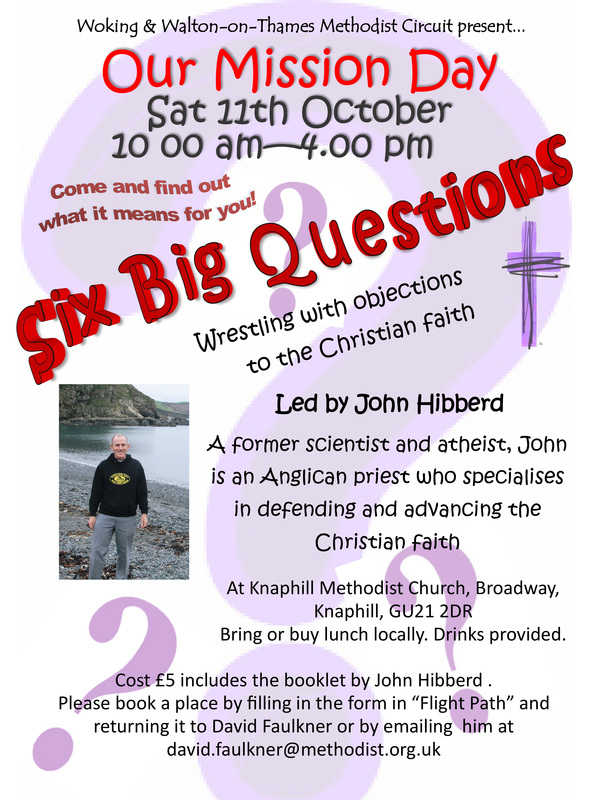 We have a guest preacher at Knaphill, my old friend John Hibberd. He will be following up a day conference we are having on Saturday by tackling the question of suffering. But why not come to the day conference itself? Details are below. You can email me on the address given, and pay on the day.